MRPL also offers Automatex a Bobbin Transport system tailored made for spinning and speed Frames as per customer’s requirement. Various models are available in Automatex Bobbin Transport System to fulfil customer requirements. Equipped with a unique designed rigid structure for stability. 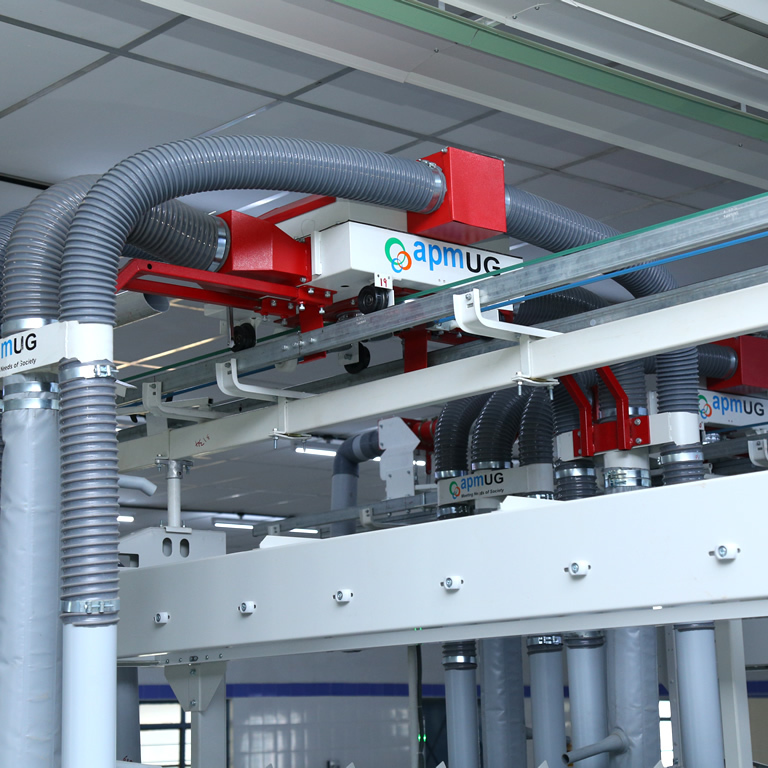 Optional –On line Fiber Bobbin cleaning unit for Fiber opening. First in and first out concept. Avoid manual handling of Bobbin, thus improving quality of yarn. By reducing operators travel between machines. Control on quantity of trolleys.